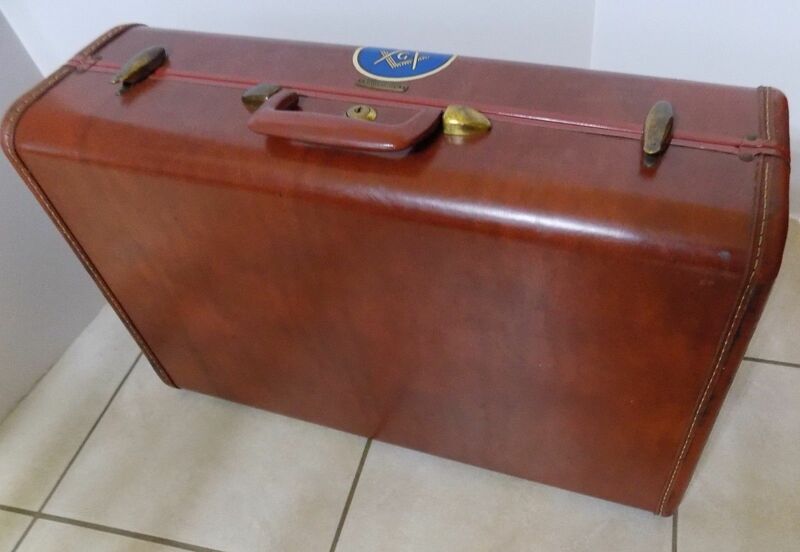 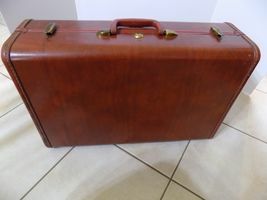 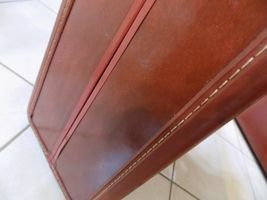 Vintage Samsonite Shwayder Bros 26" Hardcase Suitcase. DOES NOT HAVE KEY. DIMENSIONS ARE: 21.5 X 14 X 8. 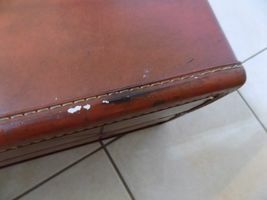 IT IS IN VERY GOOD CONDITION, BUT DOES HAVE 2 OR 3 BLEMISHES, AS SHOWN. I'M NOT SURE THIS WOULD BE CLASSIFIED AS 20 OR 22" AS IT MEASURES 21.5" INSIDE IS VERY CLEAN ALSO. 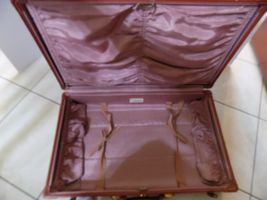 PLEASE LOOK AT PIX. 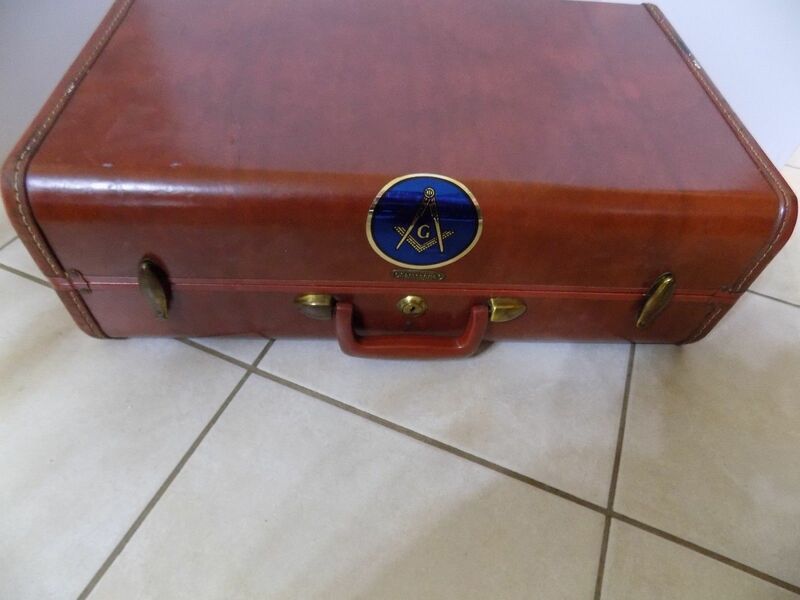 IT HAS A NEAT OLD MASONIC STICKER ON IT. THE LAST 2 PICTURES SHOW ALL 3 OF THE SET I AM LISTING--ALL IN SEPARATE LISTINGS. THIS LISTING IS FOR JUST THE MEDIUM ONE. 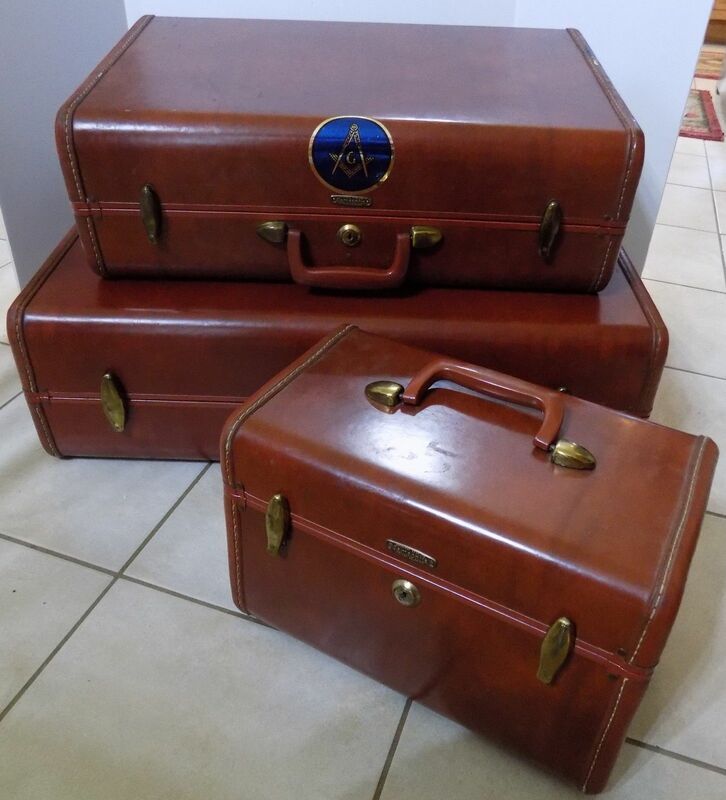 I CAN NOT COMBINE SHIPPING ON THESE AS IT WILL MAKE PACKAGE SO LARGE THAT DIMENSIONAL WEIGHT WOULD BE MORE THAN OTHERWISE. 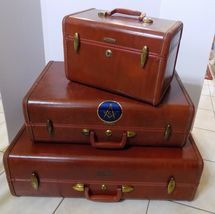 THESE ARE VERY POPULAR RIGHT NOW FOR NIGHT STANDS, END TABLES, HOME DECOR AND OTHER CRAFT PROJECTS.